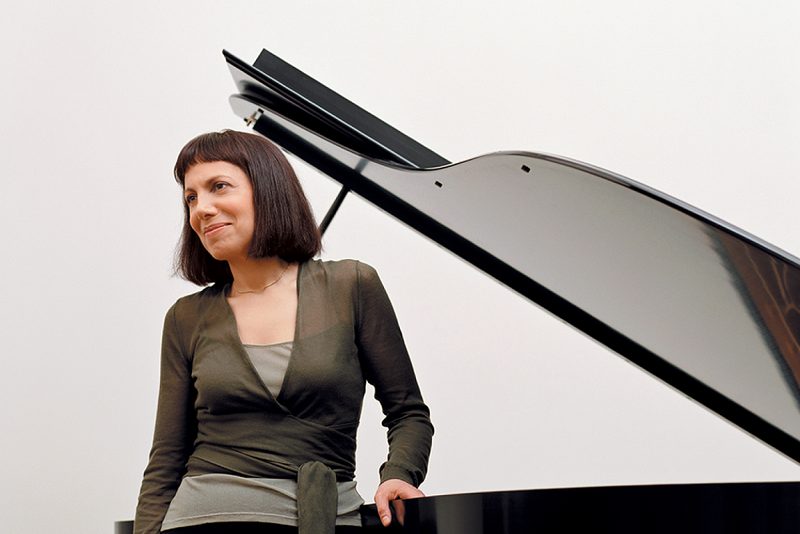 Pianist and composer Leslie Pintchik found the title for her new album in one of those "only in New York" moments. While crossing Canal Street at West Broadway in the SoHo section of Manhattan, she heard a voice behind her yell, "You eat my food, you drink my wine, you steal my girl!" As it happened, she'd just completed writing a new composition, and at that very moment she knew she'd found its title. It was a perfect fit for the sharp-elbows vibe of the piece, with its samba-funk groove, understated humor and fender-bender of an ending. So with one gruff shout, serendipity handed her a bold, spunky title, for a bold, spunky tune. With its implied but elusive narrative and personality to spare, the outburst also turned out to be a perfect title for Pintchik's new recording, which features six of her original tunes and two standards. As on her five previous albums, Pintchik has penned a collection of songs overflowing with warmth, humor, tenderness, depth and smarts - without forsaking her razor-sharp edge. Pintchik is unique in combining a brisk energy and drive with a gift for accessible, infectious melodies - like that overheard accusation, her music strikes a unique balance between the sharp-edged and the charming. You Eat My Food, You Drink My Wine, You Steal My Girl! will be released February 23, 2018 via Pintch Hard Records. In his liner notes for the CD, Allen Morrison writes "As a composer, [Pintchik is] like a novelist, unspooling each song like a good story with twists and turns, and with a story-teller's patience and sense of form. And, like a good novel, her songs appeal to both the head and the heart; they are subtle, sometimes wry, sometimes somber. I think they're not-so-buried treasures, waiting to be discovered by other jazz artists." In addition, the wide range of grooves (samba-funk with a touch of partido alto, swing, bolero, traditional samba, straight-eighths, and ballads-all played with exceptional skill and pizzazz by Leslie and her top-notch band members) is a great added pleasure. For this outing, Pintchik returns once again with the musicians with whom she has played and recorded for many years: Steve Wilson on alto sax, Ron Horton on trumpet and flugelhorn, Scott Hardy on bass and guitar, drummer Michael Sarin, and percussionist Satoshi Takeishi. On accordion, Shoko Nagai is the newcomer, and a wonderfully intriguing addition to the mix. 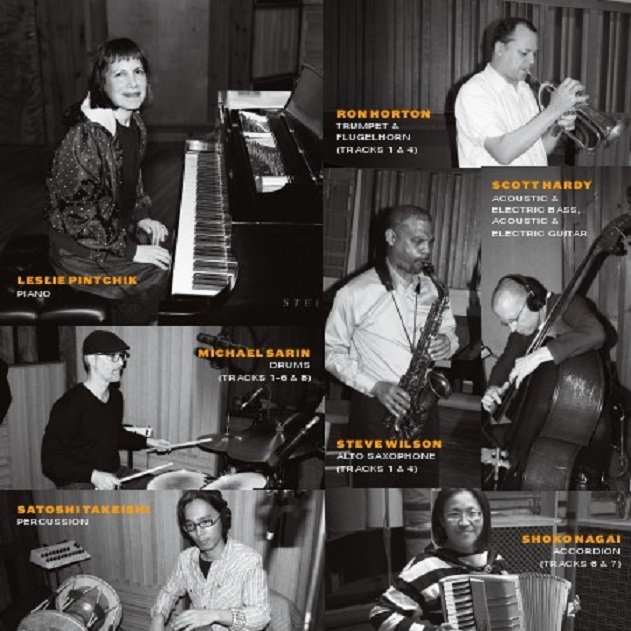 Recalling the recording session, Pintchik said "I had the time of my life playing with these extraordinary musicians and people, all gems and superb players." "You Eat My Food, You Drink My Wine, You Steal My Girl!" is not the only mouthful of a title on the album. It's topped by "Your call will be answered by our next available representative, in the order in which it was received. Please stay on the line; your call is important to us," which should instantly raise the blood pressure of anyone who's ever wasted hours of their life on hold to fix - or at least attempt to - a problem that's already wasted too much time. Fueled by that all-too-common experience, the tune swings hard with a fervor born of equal parts frustration and an antic comic spirit. Special kudos to the rhythm section for its drive amidst the unexpected stops and starts. From the playful to the poignant: Pintchik's ballad "Mortal" was written, she says, "to express a sense of life's fragility, beauty, and especially shortness." A highlight of the set, "Mortal" showcases a fearless use of space and silence, and gorgeous heart-on-the-sleeve solos from Pintchik, Wilson, Horton and Hardy. (Of particular note is Horton's flugelhorn solo, which is both beautiful and wrenching.) On the opposite end of the emotional spectrum, "Happy Dog," as its name suggests, is a cheerful tune. Shoko Nagai plays the melody in unison with Pintchik, and the samba-based rhythm provides a simpatico backdrop for the wonderfully frisky solos of Pintchik, Hardy and Takeishi. Like Pintchik's tunes, Edward Hopper's paintings are renowned for suggesting stories not quite told in full within the confines of their canvases. A tune with a straight eighths time feel that features Shoko Nagai on accordion, "Hopperesque" was inspired by the iconic artist's work, especially those paintings that depict people in the kind of threshold moments that provoke the viewer to wonder what happened before, and what might come after, the scene we're presented with. "I've tried," Pintchik says, "to capture that feeling of mystery." One of the earliest tunes written for the album, "A Simpler Time" was inspired by the composer's trip to the Hancock Shaker Village in Massachusetts, where she was touched by the rare adult cradles that she saw, used to soothe the elderly and infirm. Pintchik characterizes the piece as "an adult lullaby." In his liner notes, Morrison writes "There's an emotional maturity to it that seems to acknowledge that life itself is not simple, that we are often overwhelmed with hard choices and mixed emotions, and we have a universal need for kindness. 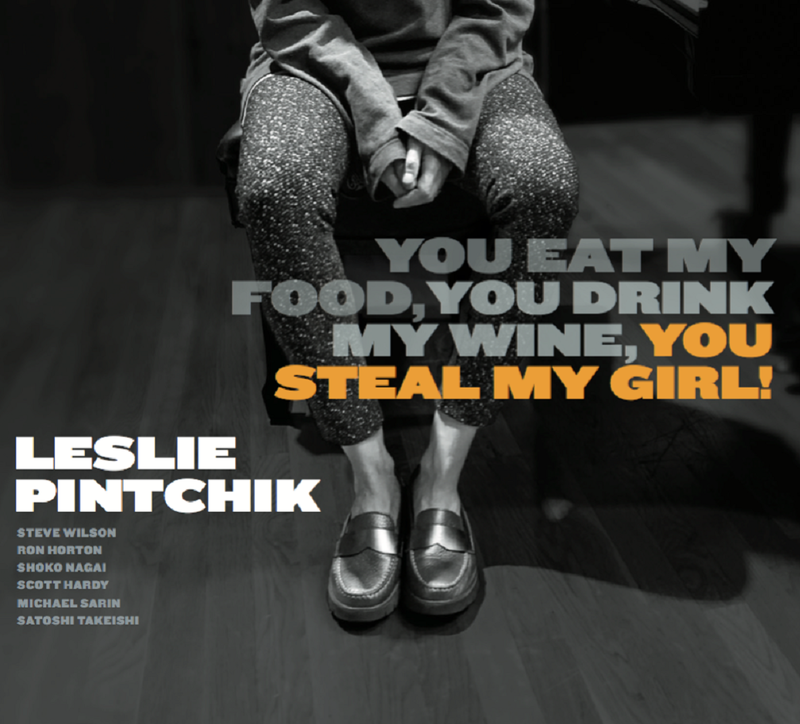 As with so many of Leslie's songs, the melody is memorable, but not simple." Approaching the album's standards with the same unique perspective and wry insight that she brings to her own tunes, Pintchik plays the jazz and pop standard "I'm Glad There Is You" as a bolero, which affords the melody of this love song a lot of breathing room. In his liner notes to the CD, Allen Morrison writes "It's one of the most tender readings of this great song (by Jimmy Dorsey and Paul Madeira) that I've ever heard." The Jerome Kern/Otto Harbach chestnut "Smoke Gets In Your Eyes" is played as a samba, with an added catchy rhythmic hook that bookends the melody. This version features a wonderfully relaxed rhythm section that, in the ending tag, builds up a strong head of caffeinated Brazilian steam, before the rhythmic hook returns, and it's over and out. 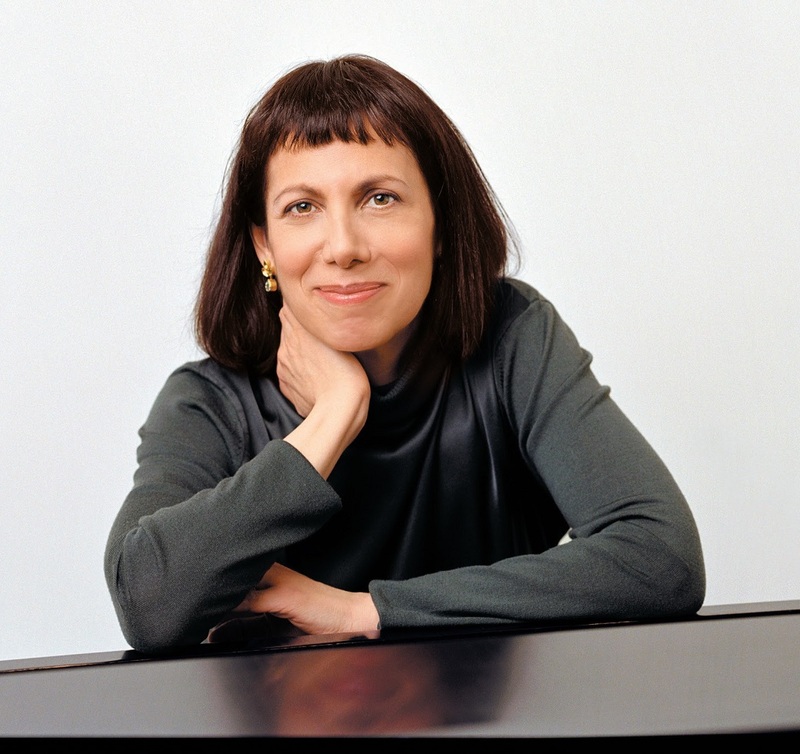 Before embarking on a career in jazz, Leslie Pintchik was a teaching assistant in English literature at Columbia University, where she also received her Master of Philosophy degree in seventeenth-century English literature. She first surfaced on the Manhattan scene in a trio with legendary bassist Red Mitchell at Bradley's, and in the ensuing years Pintchik formed her own trio which performs regularly at New York City jazz venues. Pintchik's debut CD So Glad To Be Here was released in June 2004, followed by Quartets in 2007. About So Glad To Be Here, Ken Micallef wrote in DownBeat "Pintchik's music is fresh, full of light and instantly invigorating (4 stars)." In the fall of 2010, she released her third CD We're Here To Listen, as well as a DVD Leslie Pintchik Quartet Live In Concert. Jim Wilke, creator of the nationally syndicated "Jazz After Hours" radio show included We're Here To Listen on his "Best CDs of 2010" list, and the jazz journalist and scholar W. Royal Stokes included both projects in his "Best of 2010" list. Pintchik's fourth CD In The Nature Of Things was released on March, 2014. Steve Futterman, in The New Yorker magazine, called it "...one of the more captivating recordings to come out so far this year...", and Gary Walker of WBGO jazz radio called it "...a gorgeous display of the trio.
" In his review of Pintchik's fifth CD True North-released in March, 2016-Dan Bilawsky in AllAboutJazz.com wrote "Leslie Pintchik's music has a magical draw to itŠ Getting lost in this music is simply a joy. If 2016 has a more pleasurable listen to offer than True North, this writer hasn't heard it yet. (4 1/2 stars)"
When your debut album scores three Billboard No. 1 singles, including the longest running No. 1 single of the year, and helps you win two Debut Artist of the Year titles, your priority becomes avoiding a sophomore slump. 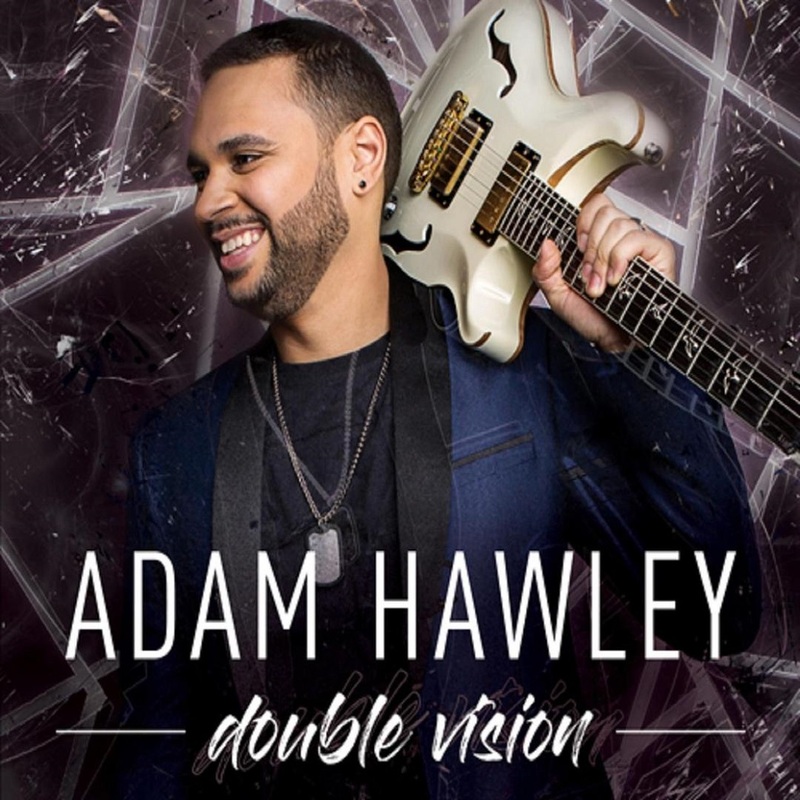 That was guitarist Adam Hawley's mindset as he entered the recording studio to construct "Double Vision," his Kalimba Records disc that drops on Friday. "My number one goal was to have my second album not only live up to the first, but hopefully surpass it. I was overwhelmed with the support and feedback I received and definitely wanted to repay the listeners with a fitting second offering rich with strong grooves," said Hawley, about the new ten-track set he wrote and produced highlighted by collaborations with Grammy winner Jeff Lorber and contemporary jazz chart-toppers Dave Koz, Darren Rahn, Marcus Anderson, Julian Vaughan and Greg Manning. "Double Vision" arrives nearly two years to the day "Just The Beginning" dropped in 2016. Topping the Billboard chart with "35th Street" (featuring Eric Darius), "Joy Ride" and "I Don't Mind," (featuring Euge Groove) with the first title camping out in the peak position longer than any other single did that year, lead to Hawley being named Debut Artist of the Year by JazzTrax and Smooth Jazz News. The first-call sideman and session player leapt nimbly into the solo spotlight and instantly became an in-demand performer at jazz festivals, clubs and music cruises. Hawley's upward trajectory continued earlier this month when "Double Vision's" first single, "Can You Feel It?," became his highest debuting Billboard single to date and this week charged into the Top 10. The midtempo urban adult joint registers maximum impact via Hawley's expressive guitar riffs and Anderson's plush sax accoutrements. The song is one of nine instrumentals Hawley penned for the collection that pours equal measures of sparkling pop, smooth R&B grooves and cosmopolitan jazz, stirred neatly by slick fretwork. "For ‘Double Vision,' I very much had groove on the mind. One of my main focuses in the writing process is making sure the music feels good. And for most of this record, the combination of the incredible rhythm section created by Nate Kearney on bass and Eric Valentine on drums helps achieve just that. I am constantly writing, putting ideas in my voice memo app and composing in the studio to the point where I had 30 possible songs for this record. The tracks I selected for ‘Double Vision' represent putting my best foot forward," said Los Angeles-area based Hawley, who will celebrate the album release with a concert Friday night at SoCal jazz hotspot Spaghettini. The album's lone cover is a reimagined take on Adele's "Hello," which Hawley ingenuously transforms into a sultry acoustic number with exotic Latin samba rhythms. His wife, Kat Hawley, delivers inviting vocals with warmth and aplomb. 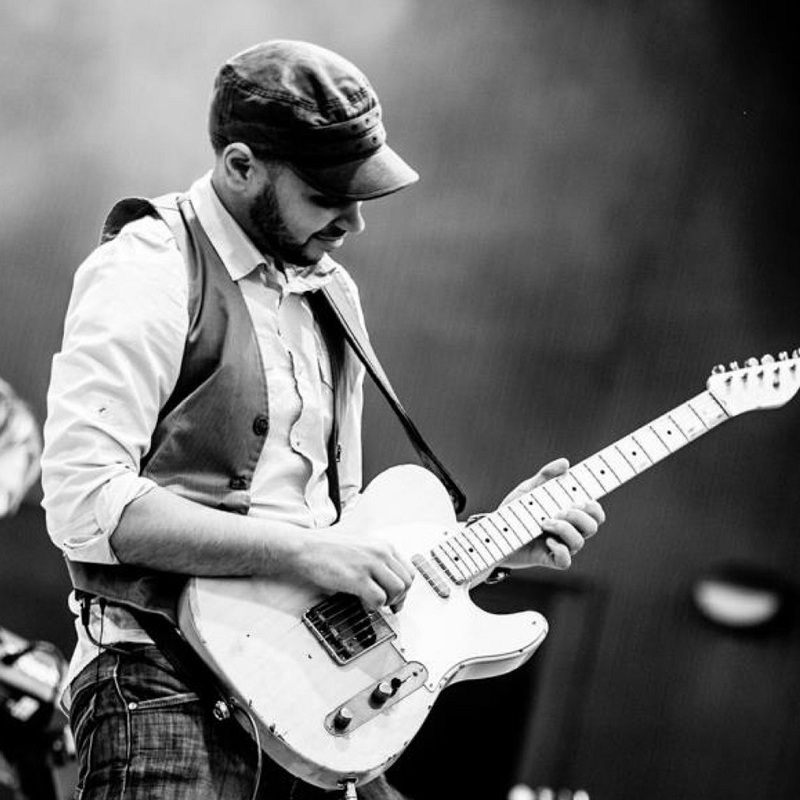 The guitar ace originally from Portland, Oregon has toured and/or recorded with a wide variety of hit-makers and headliners such as Koz, Jennifer Lopez, The Backstreet Boys, Brian Culbertson, Joss Stone, Natalie Cole, Lalah Hathaway, Kirk Whalum, Gerald Albright and many others. Hawley also operates a studio that provides production, tracking, mixing, copy and transcription services for clients such as Summer Horns (Koz, Albright, Rick Braun and Richard Elliot), Lorber, Euge Groove, Jonathan Fritzen, Lin Rountree and Phil Denny. He earned a Doctorate in Musical Arts from the University of Southern California and shares his knowledge by teaching at the Musician's Institute, Chaffey College and Saddleback College. "Just A Friend Of Mine"
The inaugural album by the jazz super-group, Spirit Fingers, features 4 of the hottest young lions on the jazz scene today, led by Greg Spero. 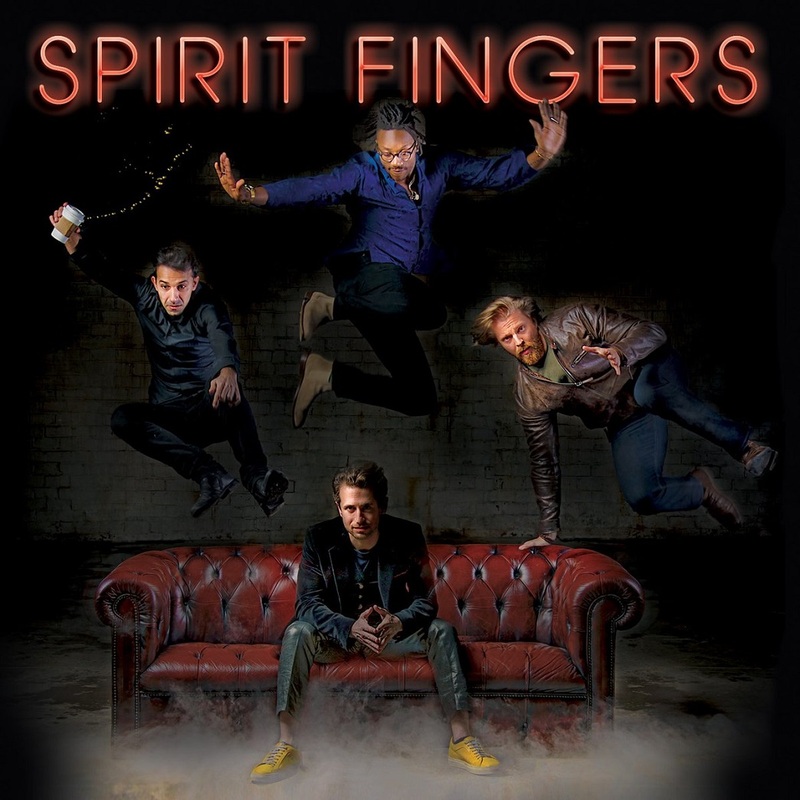 Having played to sold out audiences from New York to LA and having already attracted over 300,000 views on YouTube, the over-the-top energy and spectacular virtuosity of Spirit Fingers reaches across the spectrum, from the jazz aficionado to the jam band audience and beyond! Spirit Fingers is pianist Greg Spero (winner of Best Jazz Entertainer at the Chicago Music Awards, music director for electropop superstar Halsey), Parisian bassist Hadrien Feraud (John McLaughlin, Kamasi Washington, Chick Corea), Dallas drum prodigy Mike Mitchell (Stanley Clark, Christian McBride, Chrisette Michelle) and Italian guitarist Dario Chiazzolino (Dave Liebman, Buika, Taylor Eigsti). For this irresistible feast of songs, Grammy-Award-winning singer Jacqui Dankworth is joined by an all-star line-up: award-winning composer and jazz pianist David Gordon; Ben Davis, whose group Basquiat Strings have been Mercury-nominated; and Christian Garrick, widely recognised as the UK's leading jazz violinist. 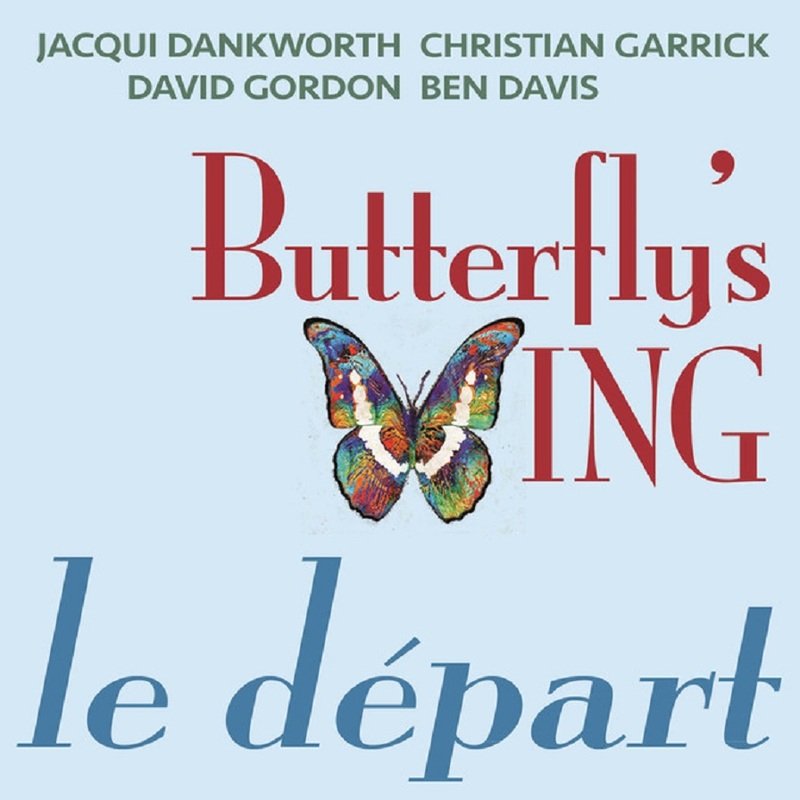 In 2002 David Gordon added the violin and cello strings of Garrick and Davis to his already established duo with Jacqui Dankworth to create the group Butterfly's Wing. Four fantastic musicians, a wonderfully transparent sound-world - by turns magical, witty, powerful - and a panoply of seductive rhythms, cutting-edge improvisation and lyrics, at once heart-rending, joyous and surreal. 'Le Depart' is the group's first recording, here, on Garrick's Flying Blue Whale label. Pianist Greg Burk’s striking solo album “Clean Spring” (SCCD 33124) was recorded in Italy and released in March of 2016 to critical and public acclaim. 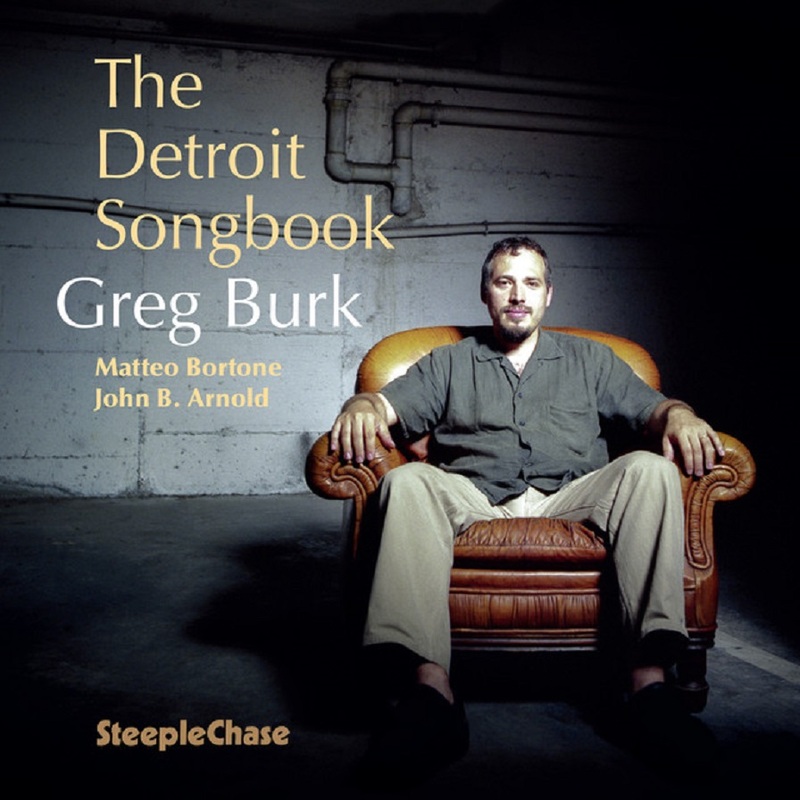 Here on this new trio album Michigan native Greg Burk pays musical homage to the city where he spent his formative years as a professional musician. 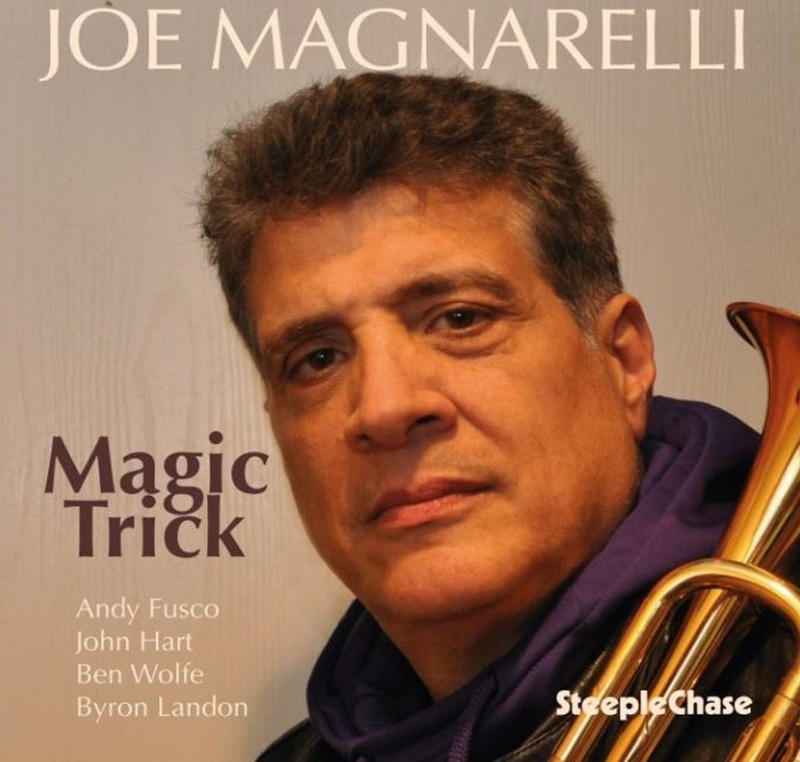 When trumpeter Joe Magnarelli (known to most people as Mags) moved to New York City in 1986, he was already fully cultivated and nurtured in the rich jazz environment of upstate New York, especially around Syracuse where he was born. In NYC Joe Magnarelli has rapidly found his own voice and established himself as one of the most-in-demand artists. This is Mags’s first album as a leader on SteepleChase label. The legendary tenor saxophonist is the featured artist here on Brian Charette’s new album. 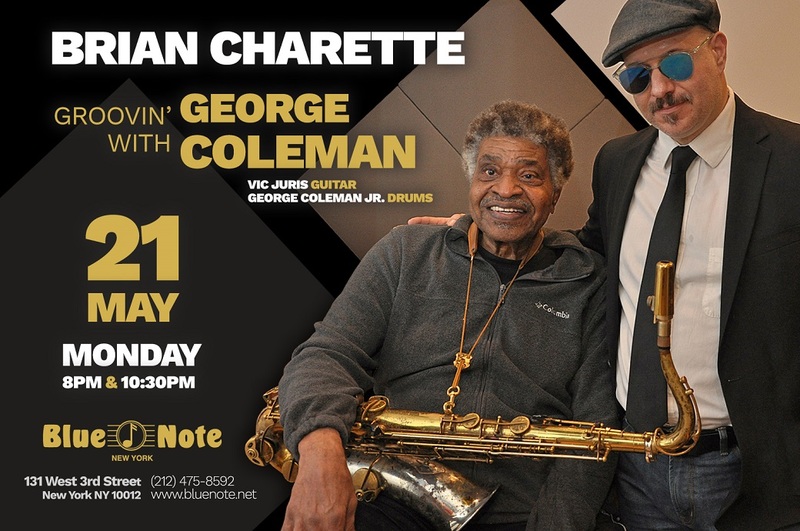 George Coleman is the recipient of 2015 NEA (The National Endowment for the Arts) Jazz Masters Awards, the highest honor USA gives to jazz musician. 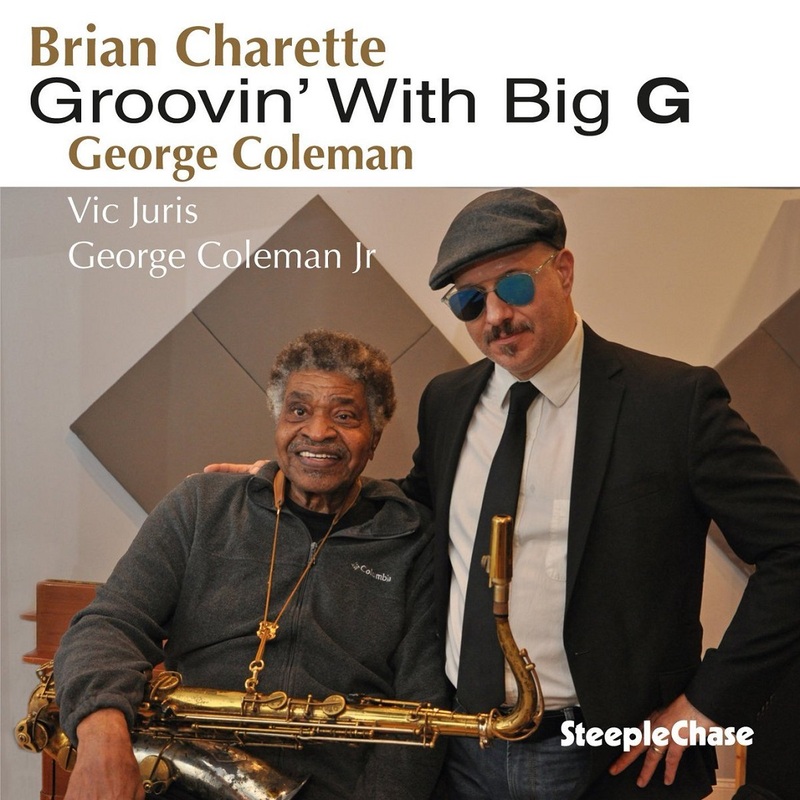 For B-3’s most adventurous and talented practitioner Brian Charette who has known the Coleman father and son for more than a couple of decades, this recording materialized as a musical homecoming.